Leave the snow shovels and cold weather behind. Make plans this winter to relax in the sun all season long. Sunland RV Resorts has the perfect locations where the snow never falls. Choose from either sunny California or the warm weather in Florida. Not only will you find the sun all season long, each one of our resorts has plenty for you to see and do while you visit. From tribute concerts, fun activities, friendly gatherings and more you will be part of the fun this season. If you’re ready to escape the winter chill, then don’t delay. Choose your destination below and discover more about the resort and how you can reserve this winter. 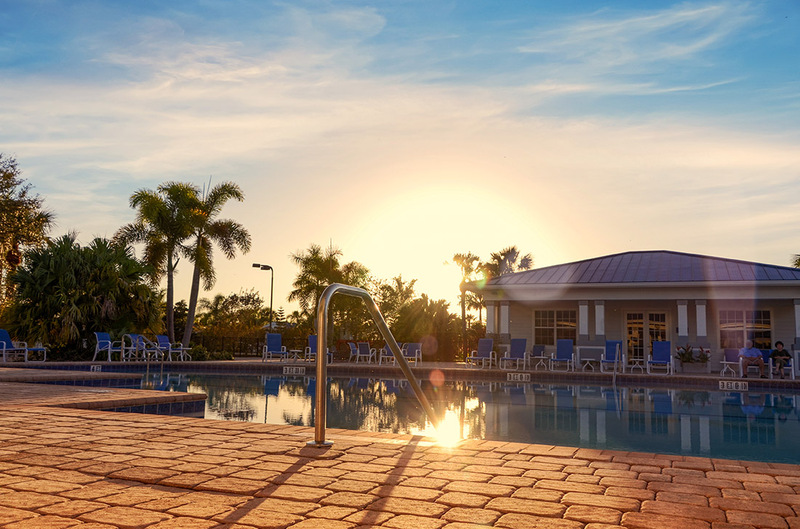 Considered one of South Florida’s best Five Star RV Park destinations, Silver Palms RV Resort offers guests and owners the exclusive comforts of a five-star resort including top-level accommodations, best-in-class amenities, and services. Why choose Silver Palms RV Resort? 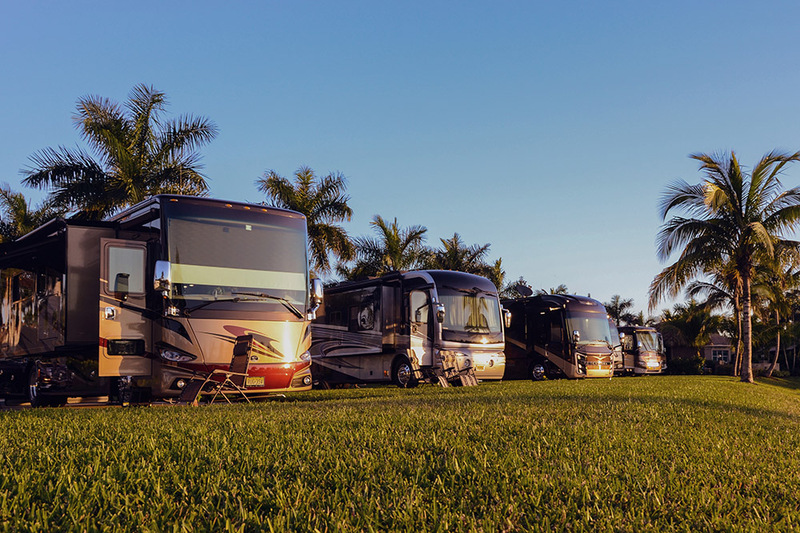 Because we combine a lavish RV lifestyle with country club living and Florida’s year round tropical weather to make it the ultimate winter getaway. It’s no secret that Florida is one of the most sought after destinations for discriminating RV’ers, like snowbirds in the winter months. With over 100 weekly activities, there is never a shortage of things to do at Golden Village Palms. 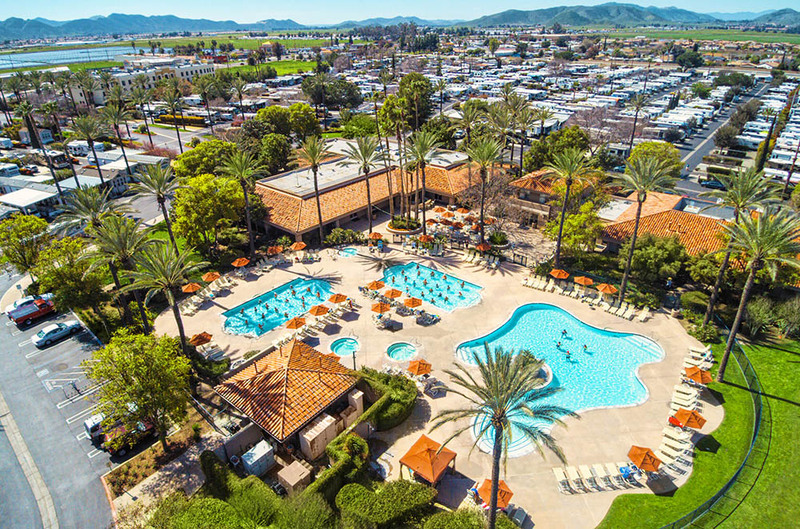 This 1,019 site RV park in Hemet features four pickleball courts, three outdoor pools and spas, an indoor shuffleboard complex, a grand clubhouse, a fitness center, and a sand volleyball court. Don’t miss the Golden Village Palms tribute concerts that are always a season favorite. Welcome to a level, unlike any other motorcoach resort. Discerning RVers come back each year to take advantage of the area’s surrounding tropical paradise and abundant recreational activities; including some of Florida’s top sport fishing spots and 80 championship-level golf courses. As upscale motorcoach owners, your insatiable hunger for exploration traverses onward as far as your RV’s wheels will take you. It is with open arms and an equally adventurous spirit that we encourage you to stop and experience the jewel of Southwest Florida, Naples Motorcoach Resort & Boat Club, located on the Paradise Coast. Emerald Desert RV is a luxury RV park in Palm Desert, California. 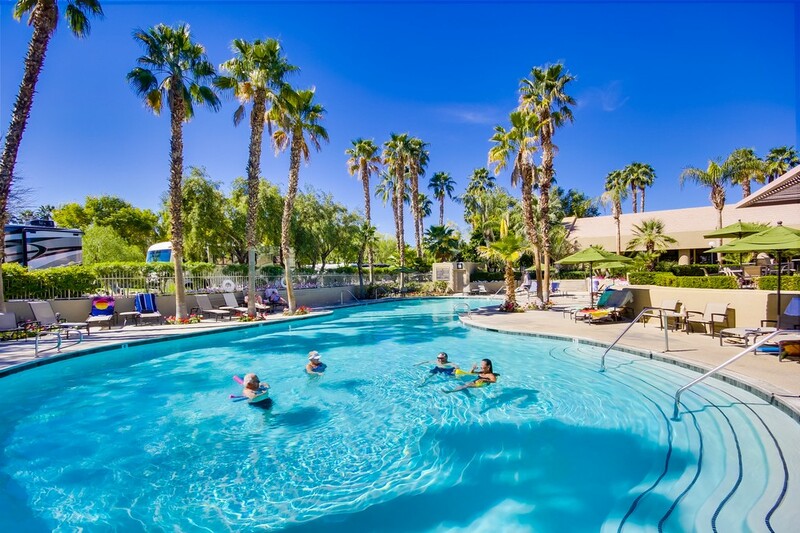 We have plenty of room for your rig with 255 RV sites, Emerald Desert also features a grand clubhouse, 2 outdoor pools, indoor and outdoor spas, fitness center, tennis court and three pickleball courts. A true RV vacation destination, Emerald Desert enjoys a full-time events coordinator to plan and host amazing parties, dinners, and adventures. Be sure to get out and explore the Palm Desert area with beautiful attractions and fun events. Make your plans to come chill in the sun at our Florida or California RV Resorts. No matter what resort you choose the sun will always be shining all winter long.